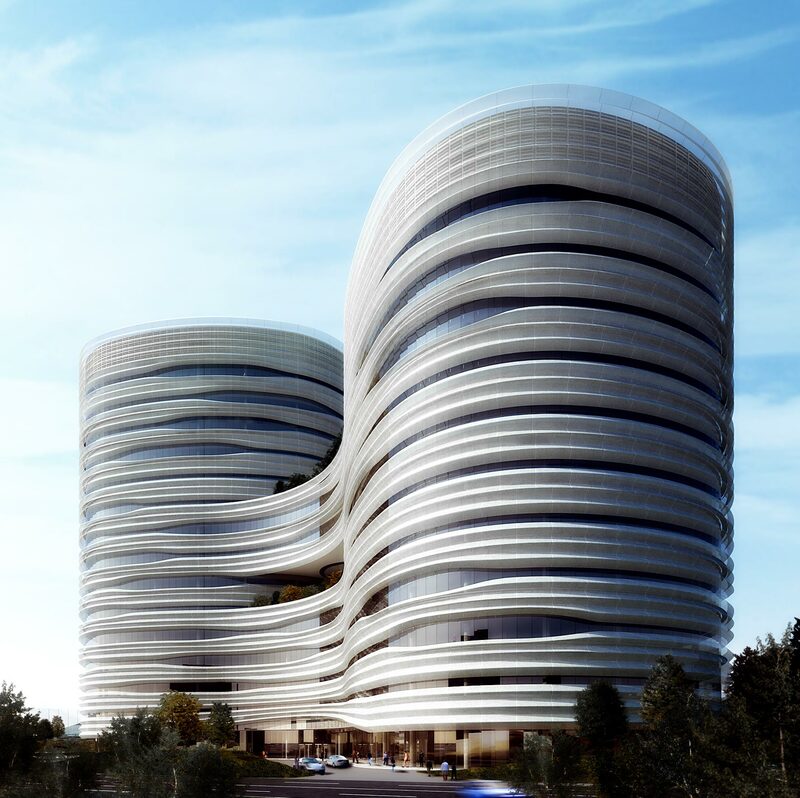 We were supported by Arup LA’s facade development leader Matt Williams who had recentlyworked on the Abu Dhabi Investment Council Headquarters tower by Aedas. Matt’s experience with the PTFE membrane-clad kinetic facade system of the Investment Council Tower was extremely helpful in developing our aspirations for CJ into a workable system. Our initial design featured a pleat-inspired perforated metal veil which pinched open to celebrate views in select locations. These apertures were fixed and restricted by the high volume of lab and office space on the interior requiring limited direct sunlight. 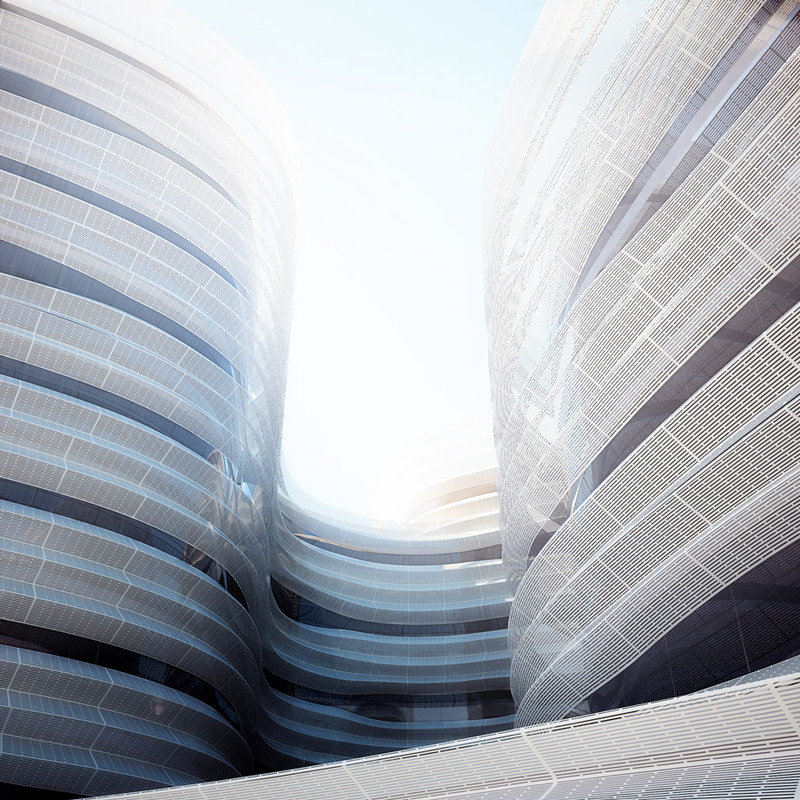 Devising a mechanism that would allow the system to “flex” could maximize exposure to natural light and views, while also filtering out direct sunlight and reducing glare. 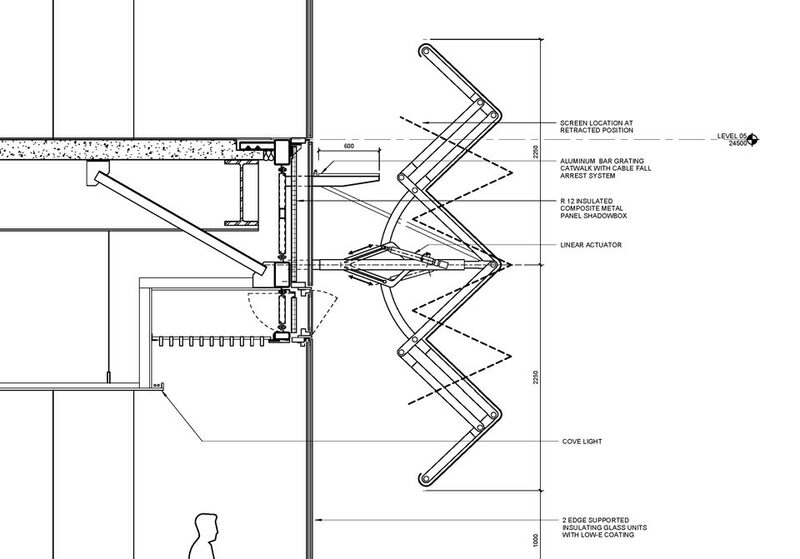 Matt’s first pass at the mechanism was based on a single linear actuator that could gather the pleated membrane like an umbrella to vary aperture based on time and user preferences. 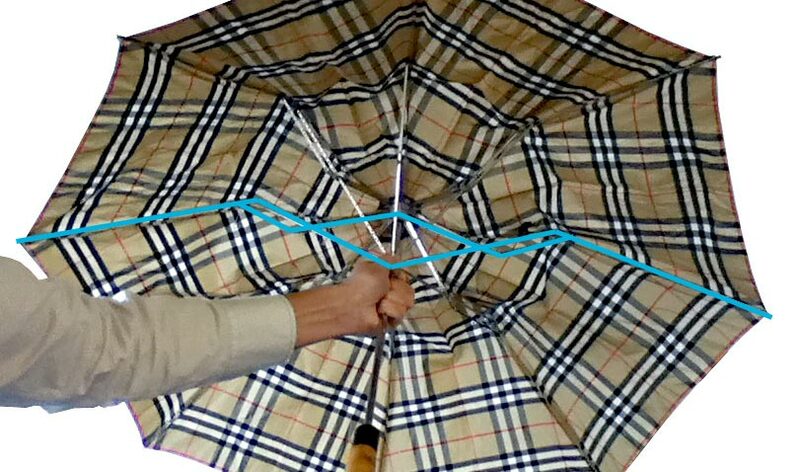 Drawing inspiration from BMW Gina concept car, the Hoberman Sphere, and the scissor mechanism on Charles Aweida’s fancy compact Burberry umbrella, we further developed the system to achieve the multi-fold veil in our original design. 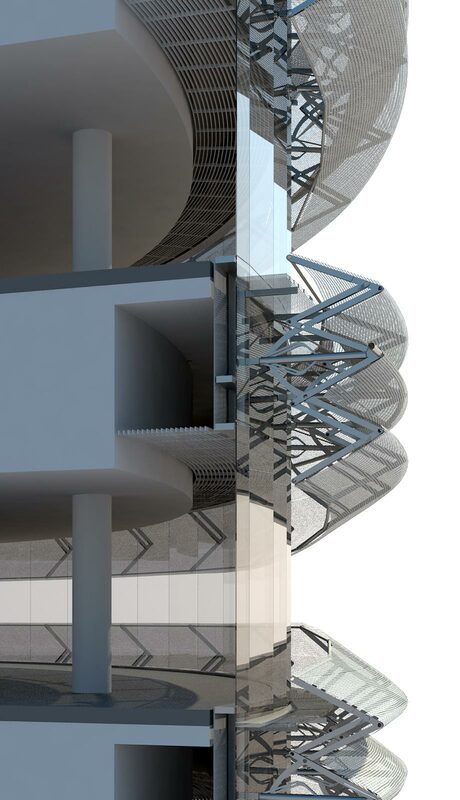 We incorporated two linear actuators to allow for the top and bottom portions to flex independently and modified the path of the actuator extension so that the outer position of the membrane would maintain a consistent offset from the facade in both open and closed positions. Using inverse kinematics in 3ds Max, a tool normally used for character animation, we were able to study the system’s range of motion and fine-tune the parts. You can read more about the process used to build the model and watch a demonstration on how to set up the IK system from scratch here. A mock-up of the system is currently in progress here in the studio. 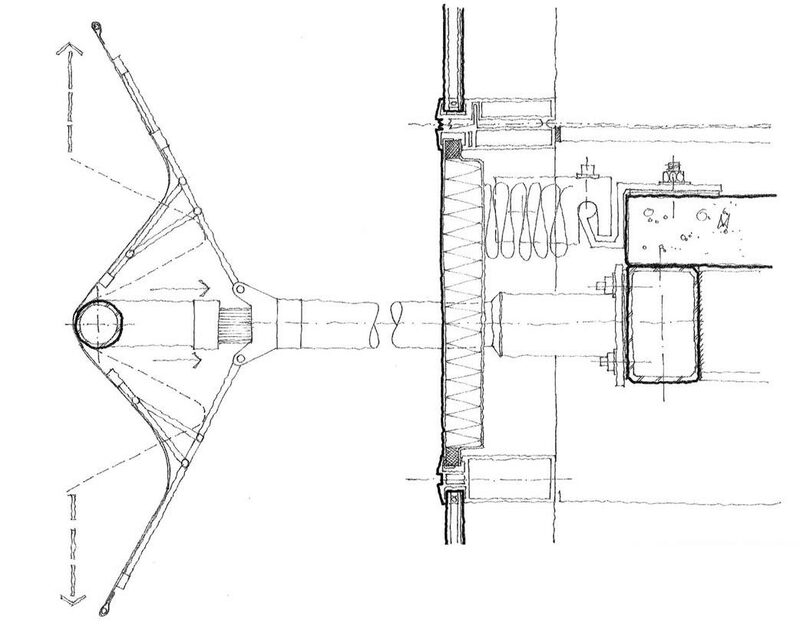 We will be using micro-linear actuators along with photo sensors to develop this system further. Kinetic facade of CJ R&D Centre project whose client is CJ Corporation of Korea. Wish to see more innovative projects in Korea, Very inspiring for my research..
A big thank you for your article.Really thank you! Fantastic….